Alexis Ohanian, co-founder of Reddit, the popular socially-driven site focused on open discussion, will speak in a free lecture open to the public at The Cooper Union Rose Auditorium this Saturday, October 5 at 6 PM. 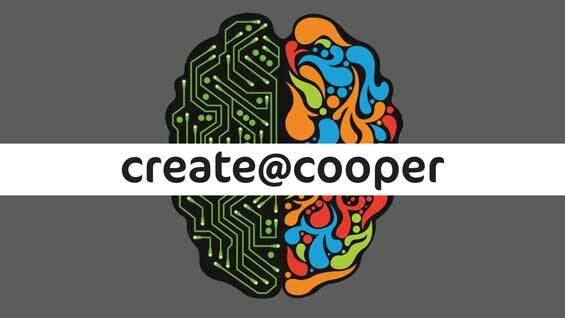 He appears by way of Create@Cooper, a new organization founded by three students hoping to foster a greater culture of extra-curricular creativity at The Cooper Union. "The goal is to give Cooper students the resources to start and see through their own projects outside of what school asks them to do," Andrew Rehayem, a co-founder and a sophomore in the electrical engineering program at the Albert Nerken School of Engineering, says. "Our goal is to create a community for students to share skills, showcase their projects, and build enthusiasm about immersing themselves in the tech ecosystem." Sharang Phadke, another co-founder and a senior electrical engineering student, describes Create@Cooper as a "rebranding" of the Cooper Union Entrepreneurship Society that first started last year. "We realized we weren't attracting enough Cooper students because we were focusing too much on entrepreneurship," Phadke says. "Cooper students really love building projects and worry about the business side later. So this year we are refocusing on getting people excited about building projects and motivated by seeing how much they can do if they put time into it." To that end the organizers of Create@Cooper are booking guest speakers, such as Mr. Ohanian, and developing workshops like the one recently given by Eric Leong, the third co-founder and a mechanical engineering senior. He introduced fellow students to basic HTML and CSS tools aimed at building a personal portfolio website. Another effort will be something the organizers are calling Create and tell. "People sign up to give demos of their project," Phadke says. They are based on a similar series called Demo Days put on by Tech@NYU that Phadke has attended. "The demos are just two to five minutes. This gives the presenters the opportunity to show off their work and also inspires the audience to build projects of their own. They are quick paced and really exciting," he says. Phadke and Rehayem see the fostering of extra-curricular projects as having practical benefits for both students and The Cooper Union. "We have probably the most rigorous curriculum of any school that I know of," Phadke says. "We develop a lot of core skills but when you go out and market yourself in the world what counts more than the theory you learned is actually having experience making things." Another benefit may be the development of potentially patentable products that students and the institution could share in, though this will not be the central purpose. "In the back of our minds we imagine this could be productive and potentially make money but our focus is on the creativity. It's more open ended," Andrew Rehayem says. The organizers are looking to make Create@Cooper cross disciplinary. "We are open to anybody in the community participating," Phadke says. "It's important that artists and architects, who have more design experience, are involved. In fact we will probably have students and other community members from outside Cooper come to our events. I've talked to people in the other schools who tell me, 'This is what I have been waiting for.' " Andrew Rehayem adds, "If we make a framework where people can support each other then some really cool things could be produced by Cooper students."